Yep you read the headline right. Over the past few years I have spent a whopping £100,000 or at today’s exchange rate $131,000 on Google ads. That is one hell of a huge number! Even I was shocked how large the figure was when I looked in my account the other day. But here is the thing, in just about every month that I have advertised I brought in revenue which not only paid for my therapy marketing on Adwords but brought me in a significant extra income as well. Now hell yes of course I would rather that £100,000 was in my pocket rather than Google’s but with most of the major search engines if you want to get found you often have to pay. Google is now like a greedy manager taking their cut of my profits but the deal isn’t so bad because my I come out winning as well. Depending on the campaign, keywords or location I am advertising I am typically seeing a return of three or four times my ad spend. As a whole it is estimated that most advertisers using the system correctly will make $2 for every dollar they spend. That is like printing money provided you know what you are doing. So what have I learned from my years advertising on the platform? These are the therapists who will turn around and say to me that Google Adwords doesn’t work for therapy marketing. In fact that isn’t the case it is the therapists who have rushed in set up ads without getting to understand the system first. I’m currently working with a marketing student who turned over their Adwords account to a big SEO agency to run. Surely people with huge expertise in running websites and pay per click advertising would get him some clients? Err nope because the agency may have been great at SEO and PPC but they didn’t understand the therapy market. My client had told them he wanted to specialise in online sessions and was happy to see clients who were based anywhere in the UK. So the ad agency set up a load of keywords and then tumbleweed. I could go on. Hopefully you can see the big problem here. None of those keywords are going to earn my client any cash. In addition there are about 18,000 searches in the UK for this term alone in the UK at an average cost of £2.50 per click. Even on a generous budget per day for advertising you would lose a ton of cash and get no clients which was exactly what happened to my student. This agency did not have specialist knowledge of the therapy niche and this was one of many mistakes they made so naturally their campaign for my client was a disaster. I know therapists love the idea of Facebook ads because you can have such a small budget per day that it feels very manageable. The only problem is that most therapists don’t understand Facebook ads very well either. They are cheap because the people being shown your ad have no intention to buy at that moment. This means to really make advertising on the platform work you need to build a funnel, remarket and cultivate the clients. With Adwords the people typing in specific search queries are looking to hire someone now which means the cost of advertising to that person is higher but you chance of getting a sale is bigger. The trouble is that as well as therapists setting up their ads incorrectly they also start to panic when they have spend £50 and have had no calls so they close the account down. When you use pay per click advertising especially systems like Adwords you have to think strategically. For example there is no point in spending £50 on advertising for clients who are only going to come and see you for one session. 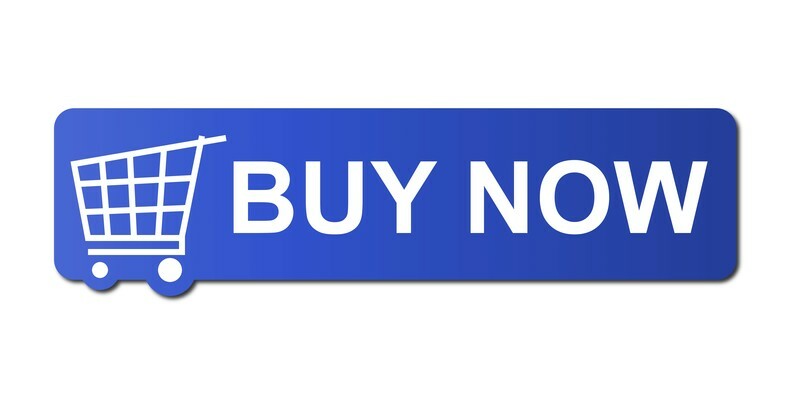 It is great for big ticket programs but very difficult to make pay if you are selling something cheaply because the clicks will cost more than the revenue. Plan your campaigns carefully so you don’t fall into this trap. So what do I mean when I talk about bounce rate? Bounce rate is when a visitor comes across your website and visits one single page and immediately decides your site is boring, irrelevant or slow and heads off immediately elsewhere. Having a low bounce rate shows Google that you are attracting the right visitors to your site meaning it should in theory move it up the rankings for certain keywords. The traffic with the lowest bounce rates tends to be referral or organic views but in my case my next best traffic is Google Adwords with a relatively low bounce rate. That means people who are seeing my ads are coming on to my website and staying because my campaigns have been set up to show them highly relevant website pages. My worst form of traffic is one from social media. It is relatively obvious why. People on social media are using it to engage with friends and family not to really view my website. So if they do head on over to it from an ad on Facebook or from seeing one of my posts they are less targeted customers. This is another reason why Google Adwords traffic can be superior to Facebook ads. As I have mentioned before Adwords, Facebook and SEO are changing every five minutes. One minute you are sitting pretty at the top of Google and the next you are down on page three. Or perhaps you were spending £2 a click and getting customers but suddenly your local competition gets fiercer and now your costs have doubled. Or even worse Google or Facebook have decided that your website isn’t up to scratch and is making outrageous claims and suddenly won’t allow you to advertise at all. Whatever you do in your marketing you must never rely on one channel too heavily because one day something will change and those leads will disappear. It is essential that you try and build up a therapy marketing strategy that gets clients in from every direction you can. Using Google Adwords at the moment is a great way to get in clients in your door but it should not be your only strategy just part of a diversified plan to get revenue in every way possible. Want to Learn How to Set up a Therapy Marketing Campaign in Google Adwords? Get you regular client leads who are looking to buy your services. Target only clients who are looking for your particular niche expertise. Help you to get to number one on Google. Build search campaigns that are localised. 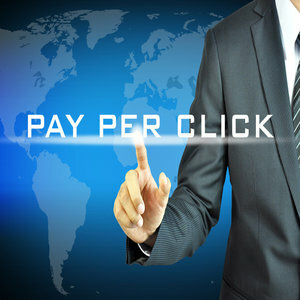 Teach you how to use pay per click advertising to make money. Allow you advertising flexibility so you can respond to customer need instantly. How to get clients even when you are starting off in practice. Until the end of March you can claim a 20% discount on the course before the course reverts back to its normal price by using the code ppc2019. This is the system that has made me a considerable return on investment over the years and after spending £100,000 on ads I believe I am one of the most qualified hypnotherapists on the platform in the UK. Just click the link below if you want to give this amazing marketing channel a try. For those of you who are unaware Google Adwords is the number one tool used by Google to make money. In fact in 2013 Google made over 50 Billion in advertising revenue mostly because of Adwords. So what does Adwords do? In simple terms when a person uses Google to search for a term they are presented with a long list of websites which link to the information that they want. Google will always try to make the search results relevant and as closely linked to the original question as possible. Depending on the popularity of a keyword the first four results on a laptop and first three results on a mobile device will be adverts. Following this you will see maps results if applicable and only then the organic search results. Understanding how to rank for Pay Per Click adverts as well as organic rankings can make a huge difference to your hypnotherapy marketing. The top four Adwords results are the result of people paying in order to get found for certain keywords. So if a person in Luton types into the search box “find a hypnotherapist in Luton” the first four results shown as well as some bottom page results will show up hypnotherapists in the area who are paying to advertise their business. The remaining results below the top four will be people who have optimised their websites well enough so that they appear on that coveted front page on Google. So what does that mean for your Hypnotherapy Marketing? Well number one if your website is not appearing on the front page at all you are in trouble. Most potential customers other than word of mouth referrals will be looking for therapists by using a search engine. If you don’t appear on that front page those prospects will happily go elsewhere. So at the very least you need to have a sufficiently well optimised website so that it shows highly in those search results. If you want to take your Hypnotherapy Marketing that one step further then you may want to consider using Google Adwords to get further up the search engine rankings. Google Adwords uses pay per click which means that every time somebody clicks on one of those ads you will be charged a fee. This means that potentially many people can click your advert and not ring or buy your products but it will still cost you money. On the plus side if your cost per click for the words or phrase that you are looking for is very small you can probably live with a number of non converted clicks as the costs will out weigh the revenue you get for selling your treatments or services. I always recommend that if you don’t understand what you are doing with the system get some help to navigate the complexities of Adwords. This is why I have created a new online course to help you skyrocket your profits by using pay per click advertising in your area. This online course consists of over two hours of video recordings designed to help you start your own profitable localised campaigns allowing you to bring in significant additional revenue to your business. 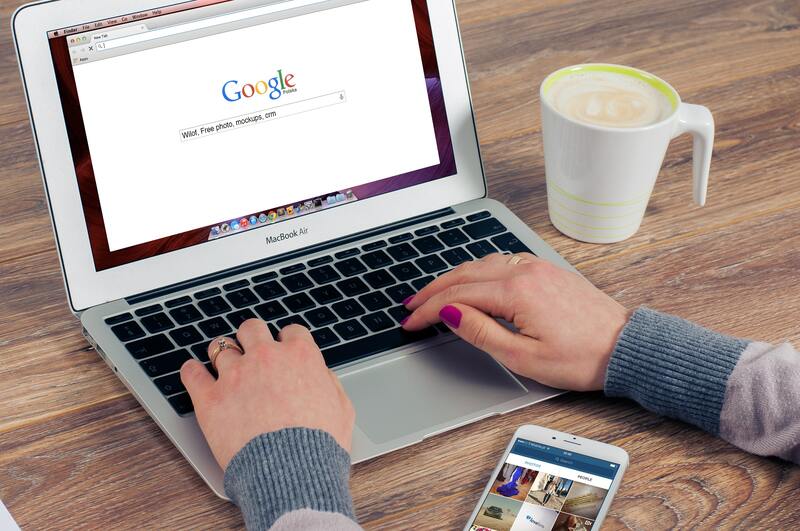 Google Adwords can be a fantastic tool for hypnotherapists who want to get new customers fast but set up it up incorrectly it can cost you a small fortune. As an illustration of this I once worked in a small Health Centre in the UK who had supposedly paid an SEO professional to set up their Adwords account. In particular this centre advertised on the system for massage clients, acupuncture and osteopathy. It was only when I was talking to the business owner and checked their website that I found that the Adwords account was not well set up. In fact any person in the area who had been looking for a certain form of intimate massage of a sexual nature had ended up on their site. This had cost the business owner a small fortune in pay per click and of course had yielded no clients! Remember if in doubt then get our online course which can guide you through the process of getting the system working perfectly for you. I know exactly what works for hypnotherapists and what does not so rather than learn by trial and error get it right first time as the cost of our course is significantly less than you could lose with an incorrectly set up campaign. If you need help understanding Google Adwords, organic search results or any other form of Hypnotherapy Marketing I also offer one to one marketing programs. Contact me for more information. *This blog post has been updated in November 2016 to reflect changes in the Adwords system.